Genomic sequencing, including whole genome sequencing (WGS) and whole exome sequencing (WES), are available to and being utilized by physicians and their patients in both research and clinical settings. The use of genomic sequencing in healthy populations to screen for disease variants is conceptually very different from anything practiced today in medical genetics. Instead of using genomic technology in the hopes of identifying a cause for a specific condition, genomic sequencing in healthy individuals would follow a model of “predispositional” genomic testing. Unlike many epidemiologic studies in genetics and genomics, this model envisions results being returned in a readily understandable report to patients and their clinicians as part of the patient’s regular care. Identification of rare genetic variants associated with significantly increased risks for certain cardiac events or cancers could allow for preemptive clinical management and prevention of disease. Genomic sequencing of healthy individuals could grow to resemble current population-based preventative screening measures, such as newborn screening or the use of colonoscopy after age 50, which have been integrated into clinical practice to identify uncommon diseases. 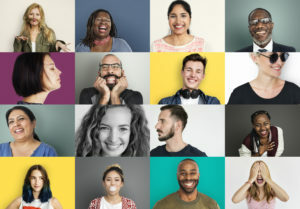 In the PeopleSeq Consortium, funded by the NIH, we are conducting a longitudinal study of healthy adults by surveying those who plan to, or have already received, their own genomic sequence information through various commercial and research avenues that follow different return of results models. The PeopleSeq Consortium enables us to collect valuable empirical data on the medical, behavioral and economic impact of performing genomic sequencing in healthy adults. To accomplish this, we have drawn upon our prior experience in designing and implementing rigorous studies of the outcomes of genetic testing and results disclosure, including the Impact of Personal Genomics (PGen) Study and the MedSeq Project. Despite the promise of genomic sequencing for personalized medicine, there remain significant challenges and concerns that must be addressed. Some consider the utilization of genomic sequencing in healthy individuals to be controversial; the short and long-term outcomes of providing genomic sequencing information to healthy adults are not known and are of great interest. 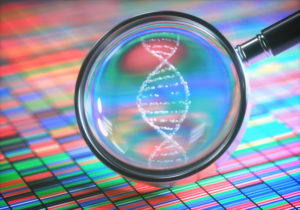 Have you already had your genome sequenced? Are you interested in sharing your experience with the PeopleSeq team? Click here to contact a PeopleSeq researcher. For more detailed information about the PeopleSeq Consortium, visit the links below or email us at peopleseq@partners.org.